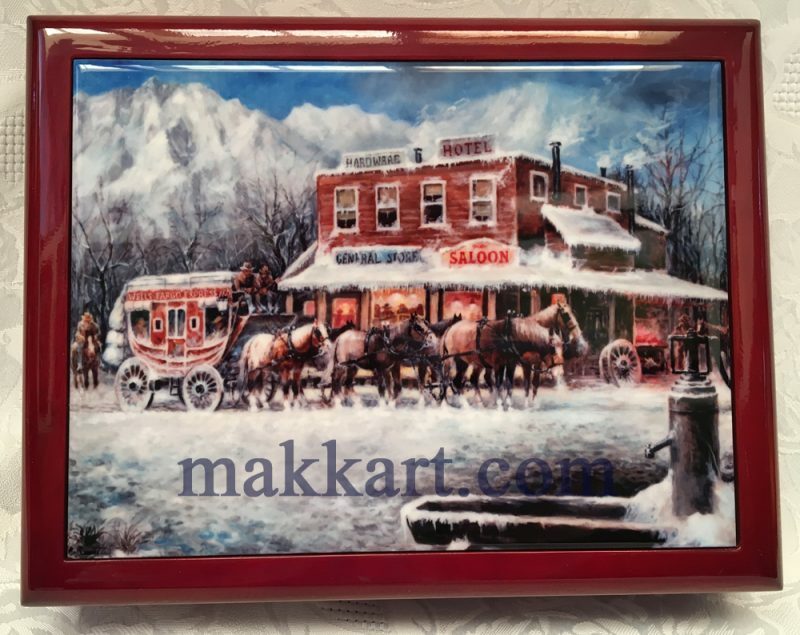 “Concord Era” by Americo Makk keepsake box. The image is permanently embedded in a ceramic tile and then inlaid in the cover of the box. Great for storing your jewelry, precious memories and the like. Perfect gift with a special image by Americo Makk! Outer measurements 6″x8″x2.5″. Lined with soft fabric.